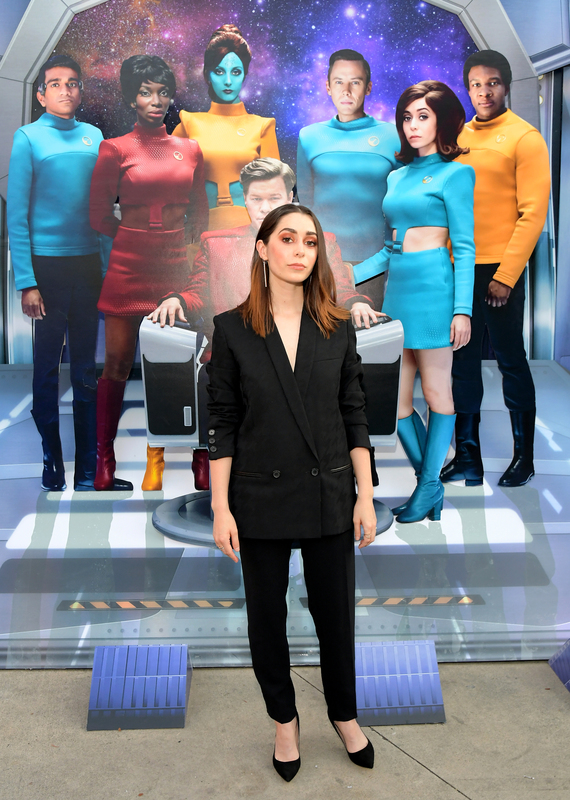 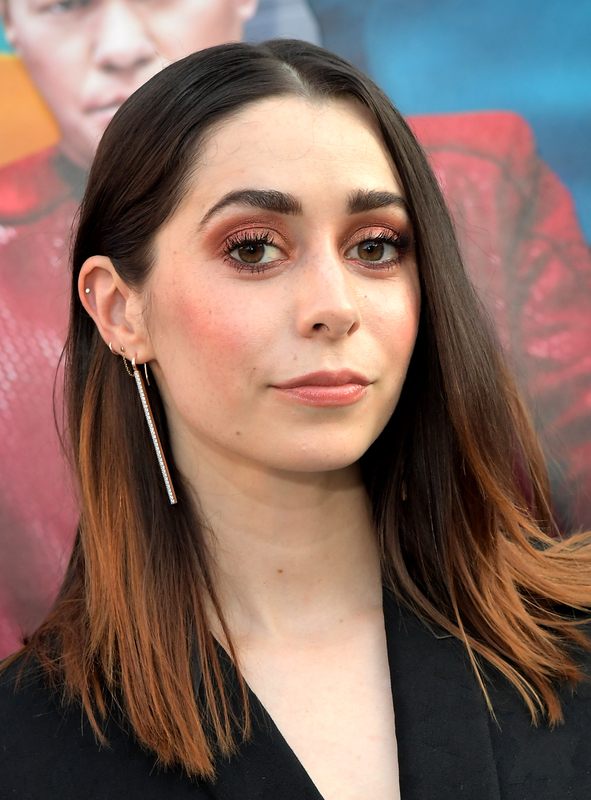 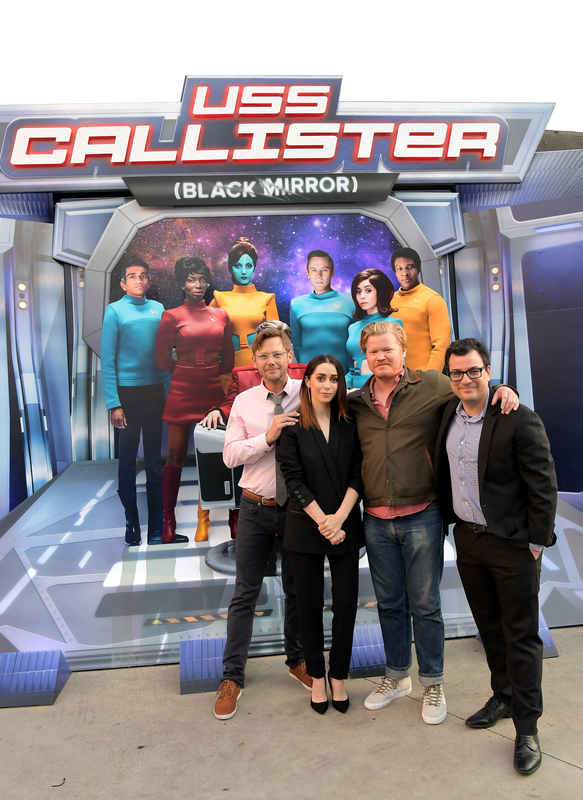 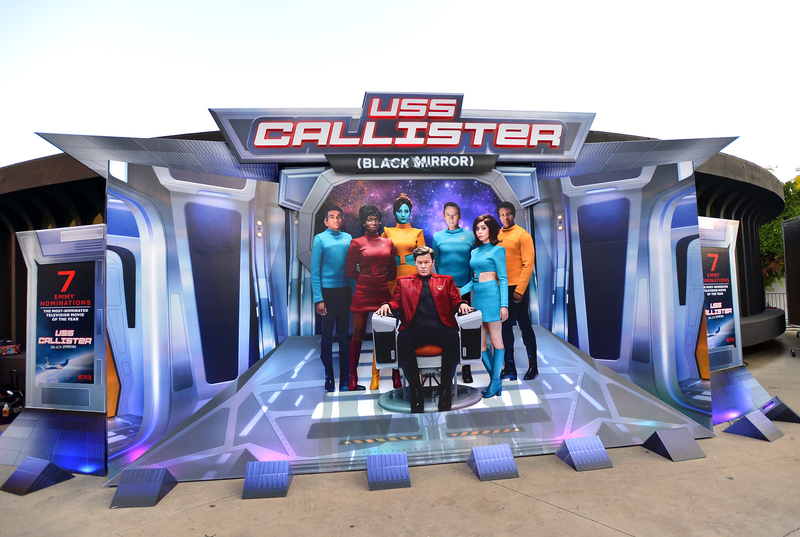 On August 7th, Netflix’s “USS Callister” (Black Mirror) unveiled a stunning life-size display in front of the Hollywood landmark Mutato Muzika building. 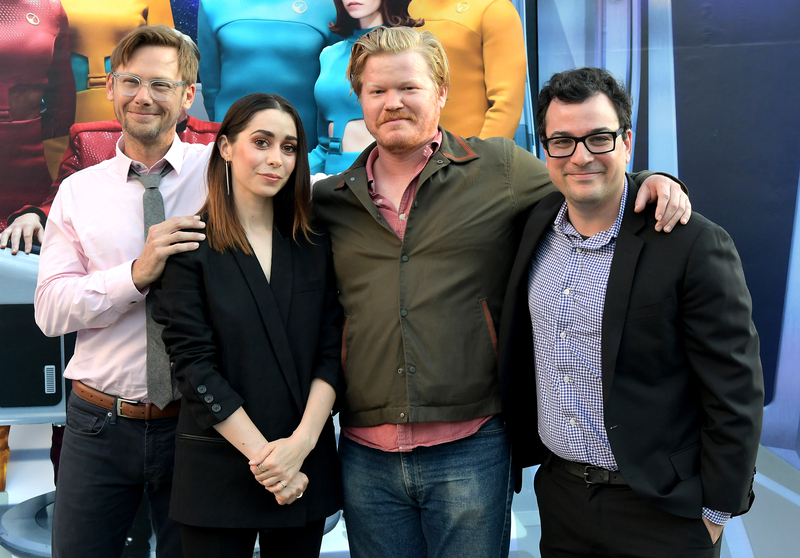 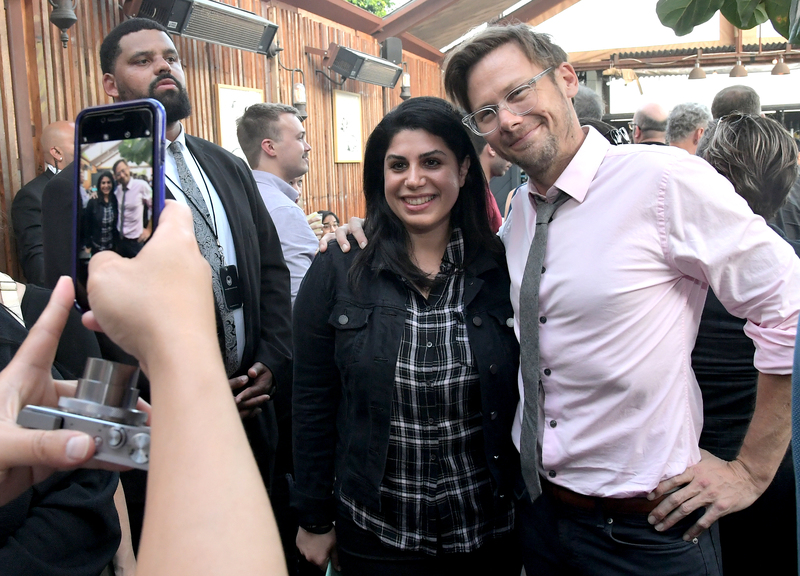 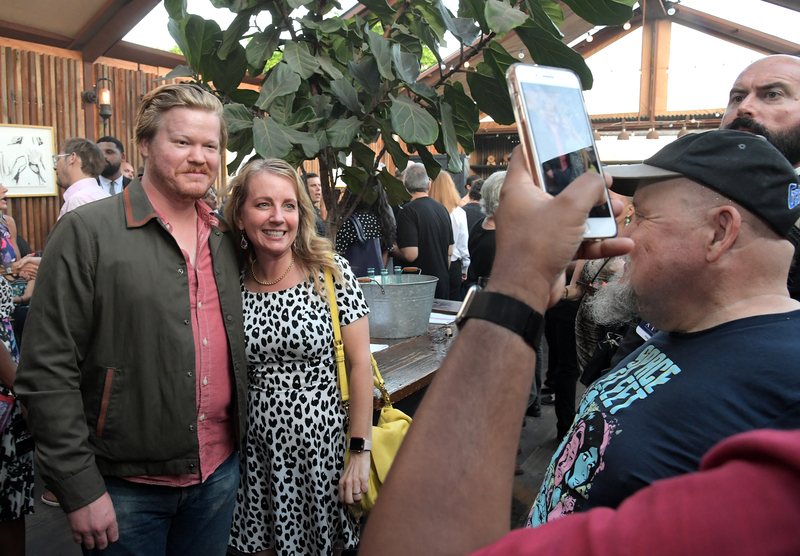 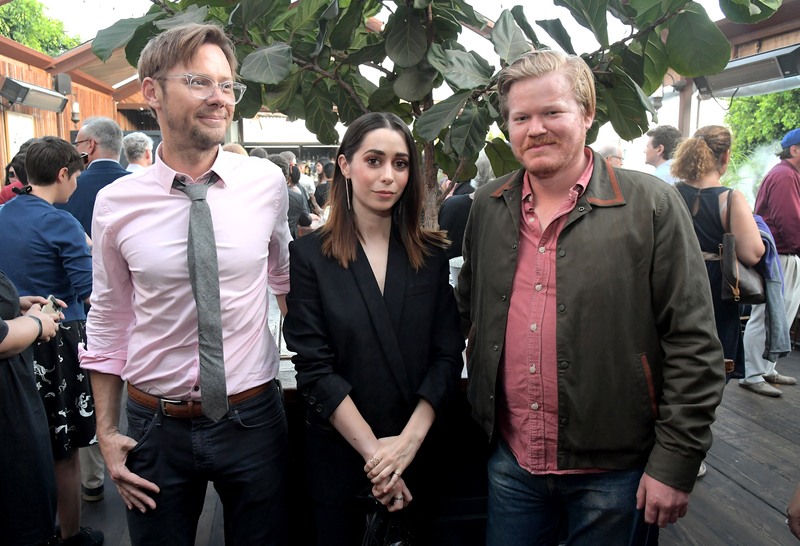 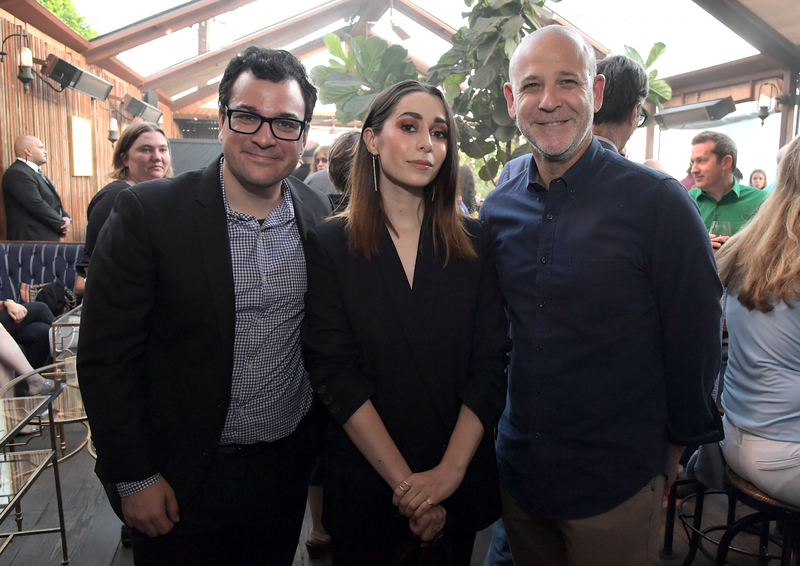 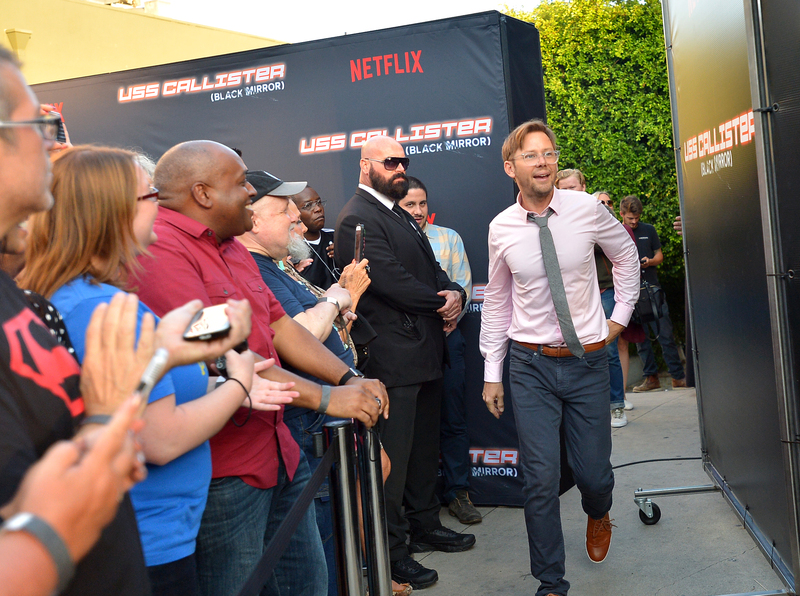 Netflix executive Andy Weil introduced stars Jesse Plemons, Jimmi Simpson, and Cristin Milioti, who posed for photos and met with fans. 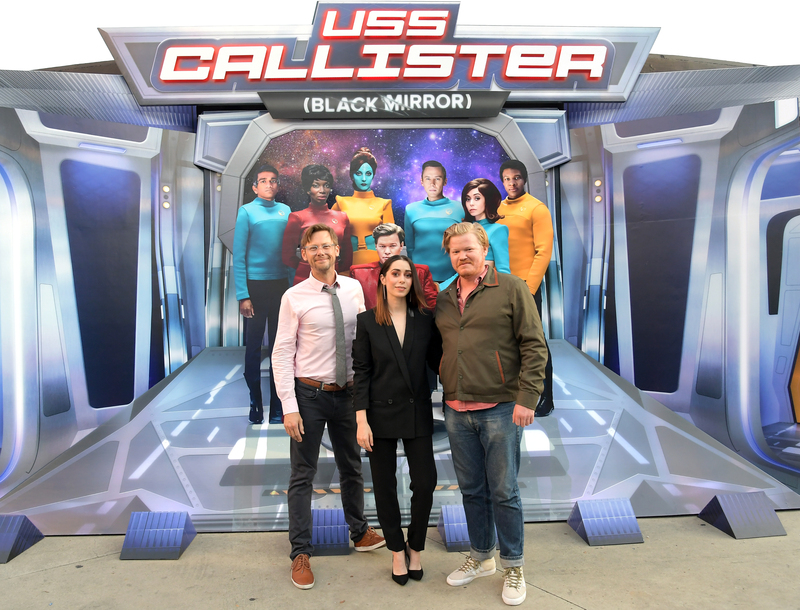 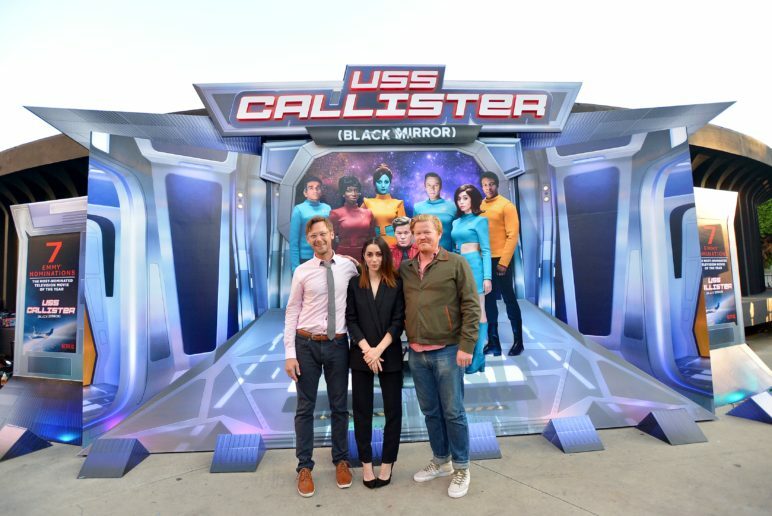 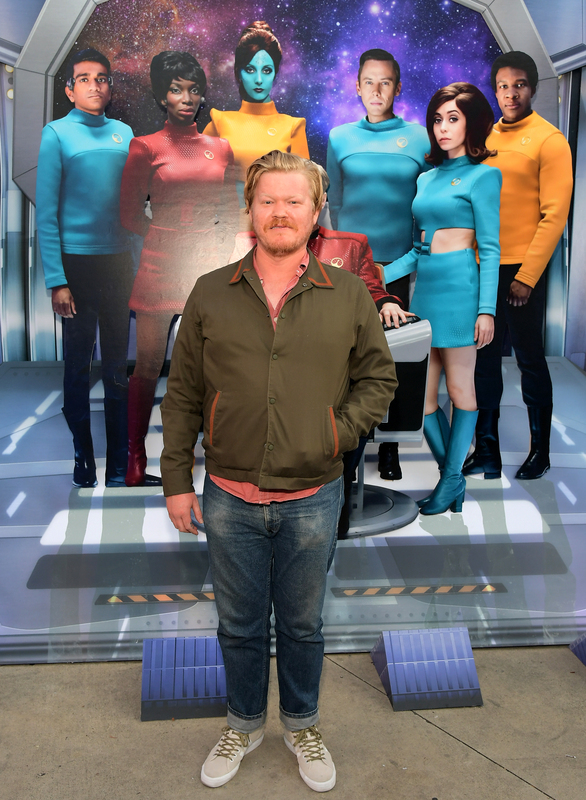 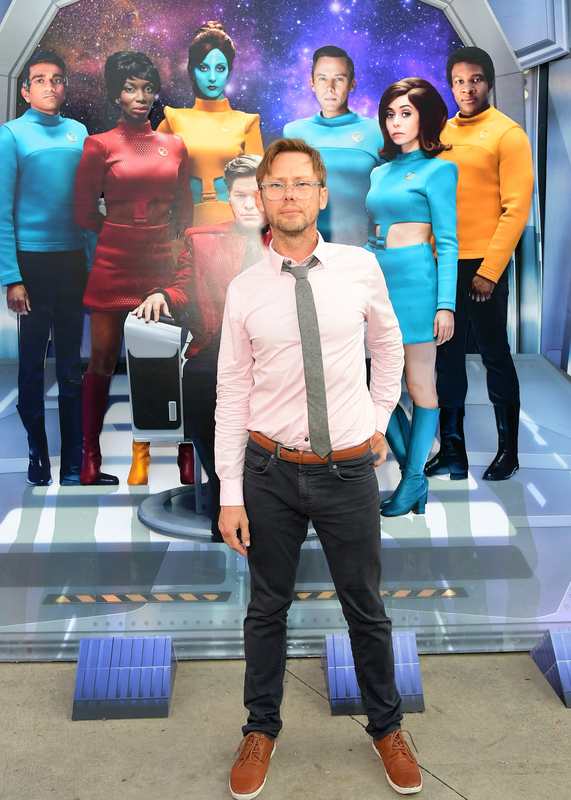 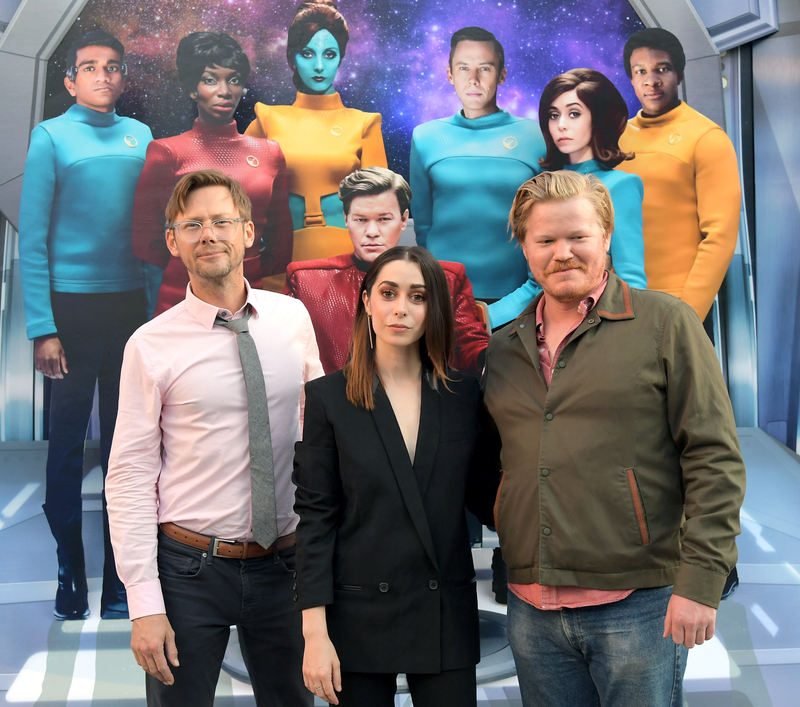 The “USS Callister” life-size display will be up in front of the Mutato Building on Sunset Boulevard until Friday, August 17th. 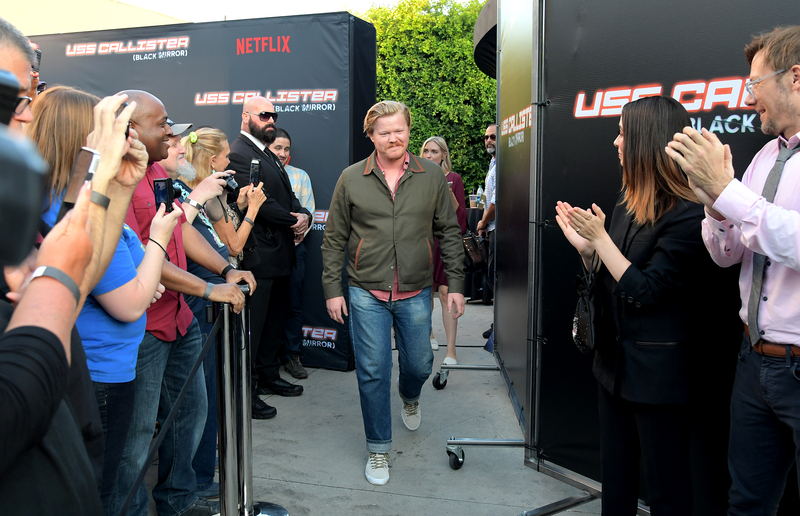 Netflix brand ambassadors will be stationed at the site handing out branded swag from the Emmy-nominated TV movie.